Looking for a venues that is suitable for the children at your home? Whether if you are either looking for a children party venue or family gathering venue, you are looking at the right place. 2book has many different childred party venue to offers, which some of the venue provides multiple facilities that are suitable for children in all age to play. Some of the facilities includes a air-blown castle, indoor playground slides, or even a ball pit! Anything you can imaging a children party we will have it. Playgorunds for the childrens does not always has to be outdoors or at home. Try out any children venues that we have to offer and you will be much surprise of the perfect children venue. 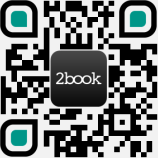 2book allows you to look at the pictures of the scene before booking the actual venue, so you know what you are getting into before even making the deposit. Finding the perfect children party venue is about more than just discovering any shooting venues. You need a place that offers your children facilities that they can play with and you can sit next to them knowing they will play safe and sound. Our children party venue come in all shapes, sizes and configurations. Whether it is a surprise birthday party that you need, or just an weekend gathering with multiple families, we will have all the different venues that will match your needs.